The All Progressives Congress (APC) in Ekiti State and the coalition of civil society groups, on Monday trooped to the streets of Ado Ekiti, the state capital to celebrate return of President Muhammadu Buhari to Nigeria after 104 days in London for medical vacation. had been placed on life support since June 6, when his sickness relapsed in a London hospital. The mammoth crowd , which comprised party supporters , civil society groups, artisans and Okada riders, marched from the Oke Iyinmi to the party Secretariat, chanting various songs to deride Fayose and the Peoples Democratic Party (PDP). The placard-carrying coalition caused a traffic gridlock between Ijigbo and Ajilosun area, making commuters to wait for several minutes before having a right of way. 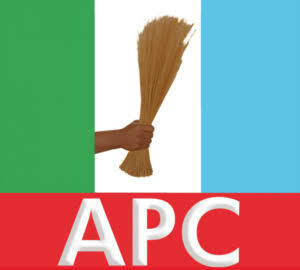 Addressing the rally, the APC Acting Chairman in the State, Mrs Kemi Olaleye, said God has shamed those wishing the President death, saying Buhari’s return will rekindle the war against corruption, insurgency and secession . Olaleye appealed to Fayose to make good his threat that he would commit suicide if President Buhari returns to Nigeria hale and hearty. She used the opportunity to allayed fear that the APC primary in preparations for the 2018 governorship poll will be manipulated, assuring that the candidate will emerge through the unanimous voice of the party members. “Mr Fayose has turned himself to propaganda-in-chief, but we are happy that God has shamed those who thought President Buhari won’t return alive. With this rally, the end has come to Governor Fayose’s reign in Ekiti. “The good people of this state are not in support of Fayose’s action , because we are cultured and compassionate people. “Look at the Governor of Rivers State, Mr. Nyesom Wike, he went to Abuja to welcome the president back to Nigeria. That was a show of maturity, why was our governor not learning from this? “We are solidly behind President Buhari even beyond 2019. And we are pleading with Nigerians to discountenance whatever Fayose has been saying against the president. He was not speaking for us, he only spoke for himself”, she said. Olaleye added that Ekiti was tired of one day, one trouble under Fayose, saying the next poll will mark the end for the governor’s dominance in the state. A governorship hopeful under APC, Mr Kola Alabi, has declared that the return of President Muhammadu Buhai has dashed the hope of corrupt Nigerians, who thought they will escape the hammer of justice. In a statement in Ado Ekiti, on Monday, Alabi described Buhari’s return from London after 104 days of medical vacation as a testimony that only God can decide the life expectancy of human beings and not any mortal. Alabi rejoiced with Nigerians, particularly members of the APC across the nation, describing President Buhari’s return as a victory of light over the forces of evil. He bemoaned how some top opposition politicians, who were regarded as the nation’s leaders were making inflammatory and incendiary comments over Buhari’s health, urging them to always put the interest of the Nigerian populace above parochial considerations. Alabi said Buhari’s welcome speech against hate speech and insurgency, had rekindled our hope that he was determined to take Nigeria to a pedestal where religion and ethnicity will play no role in deciding the fate of any citizen . “Mr President had again proved that he is a real leader that is above board by his assertion that Nigerians can live and do businesses wherever they like in any part of this country. “It takes a leader with valour and candour to speak out against his own people. Some northern youths had earlier ordered the Igbos to leave the North on or before October 1. “But President Buhari’s stern warning against those who gave the quit notice had foreclosed the possibility of ejecting the people of Southeast from the Northern region.